Tommy Hoopsick loves two things: operating a business and providing excellent customer service. He's doing both as a multi-unit franchisee with Ductz, a brand he joined when he was just 19. That made him the youngest franchisee ever in the Belfor Franchise Group, which includes Ductz, Hoodz, and 1-800 Water Damage. The hardworking, home-schooled Hoopsick grew up in the Richmond, Va., area. He learned early about labor-intensive businesses, first working in the family's asphalt company, then at a grocery distribution center after high school. While working night shifts at the warehouse, he took on a side job with the local Ductz franchisee, Russell Dixon, father of one of Hoopsick's high school basketball teammates. Dixon noticed the youngster's work ethic and determination right away, and before long had begun planning to sell the franchise to him. The 19-year-old cleaned out his bank account and in 2012, with a little help from Dixon, financed the deal and took over the Ductz franchise. He took the challenge on with gusto, learning the ins and outs of running his own business and providing excellent customer service. By 2016, Hoopsick had his business humming and was looking to expand. "I met with the current owner of a Ductz location in the Philadelphia area and began the process of buying that location," he says. The deal was finalized in late 2016, Today Hoopsick and his team are busy growing both territories and dedicated to "giving the customers the best experience possible," he says. 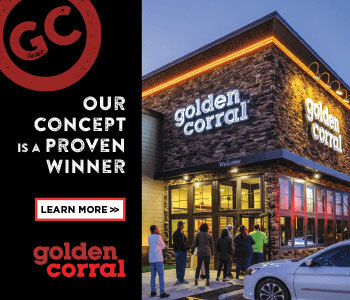 Opening the second location, says Hoopsick, was the best business decision he has made so far. "It pushed my team and me way beyond our comfort zone, but it's paid off tremendously." Today, the 25-year-old looks into the future, sees more locations, and says he will remain dedicated to making all his locations the best they can be. And, he adds, he'll do it by relying on his philosophy of over-delivering to his customers. Working in a grocery warehouse loading trucks. Any type of business or leadership books. I have also had the opportunity to spend time with many other business owners and learn from them regardless of their industry. We just did our largest project ever ($230,000) and it was the longest three weeks of my life. It was a huge challenge, but somehow we accomplished the task--and we did it on time. Self-discipline will always be the biggest challenge I face. Remodel my 98-year-old home and turn it into a smart house. Working with other franchises on a large project. It was really an eye-opener because I was able to see areas where we could be better and learn from those owners. Starting the second location and pushing my team and myself way beyond our comfort zone. It hasn't always been fun, but it's paid off tremendously. In life you don't get what you want, you get what you deserve. It took me a few years to understand how hard you actually have to work if you want to accomplish something extraordinary. I'm still learning this lesson. I try to work 7 a.m. to 7 p.m., 7 days a week. Leave for the gym at 4:55 a.m. to be there when the doors open at 5:00, then work out from 5:00 to 5:50. Remember the small details because all the small pieces make up one big piece. Always improving at everything, every day, to make sure we over-deliver for our customers and clients. I don't. I am completely dedicated to my businesses. Sleeping in on a day with bad weather. Most people don't understand my level of dedication to my businesses. When people compromise too easily or settle for less when they deserve better. Self-development. I have to set the right example for our employees. Then we have to over-train and provide them with the best resources possible to help them succeed on the job and outside of work as well. I want our employees to become better people using what they learn from their time with Ductz. If we create the best people, then we will have the best company. Lead by example, then make sure you adjust to each individual situation. There are always so many variables. I don't think it's smart to have a lot of set rules that never change. Getting everyone on the same page at the same time. Hopefully, as someone who is dedicated and does things the right way. Have more procedures in place so it's easier for our team to complete tasks and not miss any steps. This will also help when we onboard a new hire and to keep things uniform from location to location. We have an open dialogue both ways. Everyone knows that if they have a good idea or think we need to change something, I want to hear about it and do a test run. We are always looking for more efficient ways to do things that will make our work easier, and everyone on our teams shares that feeling. Very. I manage most of our large projects, but if the jobs are smaller or less complicated I stay in the office and work on the business. Our website and our brand recognition. Not really, most of our work comes from business-to-business relationships. I think social media in our industry is just getting started. We are working on a plan to become much more involved on our social media pages and put out content that educates our customers about how we do the work, the tools and equipment we use, and why we do the work the way we do. I see a lot of companies just posting a random fact here or there, and I don't really see the value in that for the customer. We try to find good family trees to pick people from. Once we find a candidate, we start them on a temporary basis so neither party is locked into anything. If it's not working out with someone, I sit down and try to understand what's going on and if it can be fixed. Once I have that conversation I can decide which way to go. In the case that someone needs to be fired, I try to be as fair, ethical, and professional as possible. We put our new people with the veterans. It's basically a mentorship. It takes about six months for us to really get a tech up to speed and to the point where they are comfortable with all aspects of the job. I think we retain pretty well considering the way our industry works. Because we invest more into our employees and care about them more, I think that attitude flows back from the employees to the managers and the company. I start by trying to step into their shoes and understand both sides of the event. I then try to make sure I am treating them uniquely since everyone and every situation is different. I think it's unfair to treat all employees the same. I work on the issues with them, and normally we are able to make things better. Not going the extra mile requires attention from management. I bought an existing franchise from a high school basketball teammate's dad. I started working on jobs with them and eventually it turned into me buying their location. I planned on owning businesses but I didn't know I'd start with a franchise. Looking back, I was very fortunate that I did start with a franchise. It helped speed up the learning curve of owning and running a business. Russell Dixon, who I bought my location from, was the inspiration for franchising. Ductz is difficult work, so my previous experience of manual labor at the warehouse was beneficial. 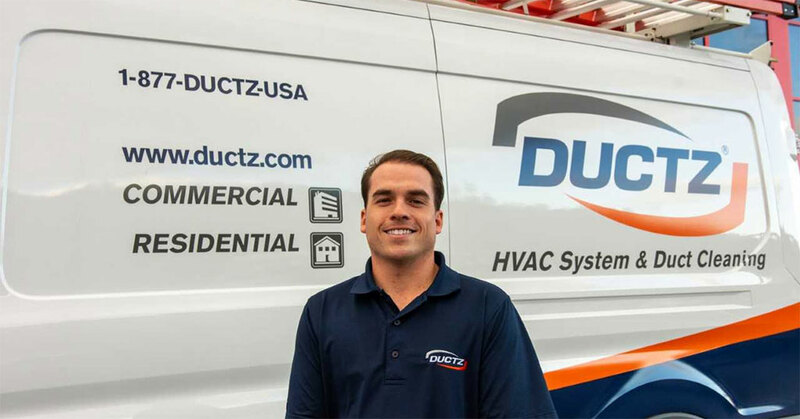 I also grew up using all kinds of power tools and equipment, so when I started working with Ductz I didn't have a long adjustment period. Money was a big obstacle. I completely emptied my savings to buy the franchise and Russell self-financed the rest. Once I finally took over and opened for business, the bank account was barely positive for the first few months. My parents weren't able to help me with money, but they did everything else they could. I would have never made it without my family, so they deserve a lot of the credit as well. I still remember playing games on Windows 95 with my older brother, and he remembers when our parents didn't even have a computer. My age group is the last generation that grew up without a cell phone and iPad, so I feel like the difference between a 25-year-old and an 18-year-old today is bigger than it's ever been. I think my age group has a chip on their shoulder because they get misjudged. People group us with others who are a few years younger, and it's a totally different generation. Do you see franchising as a stepping-stone or a career? Franchising for me was a great starting opportunity. Although one day I plan on doing other things, I believe I will always keep my Ductz locations. Finish 2018 strong. Then implement new operational procedures so we are more organized and so that, eventually, when we open our next office, the start-up is smooth. The growth I worry about is our people growing. If they grow, the rest of the business will take care of itself. But we also watch the numbers. I am beginning to notice recognition in our market going up, so people are beginning to notice us. Over the next 5 to 10 years I'm not planning any dramatic changes. Just a couple more locations and continuing to build our current locations. Lately, I'd say the economy is good and that we are affected by it positively. We were very busy in 2018, and I think people are spending money more easily than in the past couple of years, so that's good for everyone. Yes, in both markets we are having record years. We try to not let anything dictate what we do, but when the economy isn't good we have to work even harder on the sales side. It's sporadic so that's hard to do. We look at the previous year to see the comparisons, and we talk with other owners and get their opinions and information. That's one of the advantages of having a group of other owners to rely on. I have never had to do it, but I think a great way is passive investors you can partner with. Crowdfunding is also a big thing now and can be a great way to expand. I like our local bank in Virginia. It's nice to work with the people you know and who live in your community. It helps being able to walk in, call, or text. We also work with a regional bank, but it's not the same when you don't know the employees' names and they don't know you. Because of the nature of our industry we ask a lot from our employees. We pay very well in comparison to our local competition, and we always buy our crews lunch every day. Having worked on thousands of jobs myself I know what the techs deal with daily, and I promised from day one that we wouldn't spare any expense to get our crews the best tools, equipment, and supplies to make their job go as smoothly as possible. If there's something our crews need and we don't have it, we get it right away. There's not an expense request that has to wait to go for approval, etc. We make sure they are better equipped and better trained for their job than anyone else. We have increased our price, but I think the biggest thing we have done is estimated with more detail. Because of the crazy hours we work and how much we travel for jobs, the number-one incentive we have to give our employees is not money or a gift--it's a day off. We do give our employees bonuses and things like that, but when we really want to make them feel appreciated, we give them a break. I do not have an exit strategy. I plan on being involved for a long time.